BusinessWeek recently called Apple on its pricing strategy pointing out their use of the ‘Douglas Bader’ anchor (come in high, and then dive). It’s a technique the airlines have mastered with flight delays (not with the flying itself, thankfully), but Micheal Gove – Secretary of State for Education in the UK – got the controls mixed up when he captained a free schools proposals. Price anchoring is no suprise. Even children playing ‘shop’ understand that raising or lowering prices can serve as punishment or reward. Apple understand this too. They price products high at launch – evangelists purchase, but mass market consumers shy away. Later, they drop the price to the mass market sweet-spot – which is made all the more sweet in comparisson to the original ‘anchor’ price. Apple benefit by picking up more custom on the back end. Anchoring strategy needn’t only be about money. It can be about anything of value – time, or status for instance. Time-and-status anchoring (on steroids!) is used frequently in the service industry. Airlines dealing with ‘bumped’ or delayed customers are known to use false anchors by suggesting the next available flight time is one that they know they can beat. It keeps customers calm and happy. “1. Under the last government only a couple of parent-promoted schools were created over 13 years. 2. It normally takes between 3 to 5 years to establish a new school. 3. …within just 4 months … there are… high quality proposals… starting as early as next year. The first way uses all the anchoring techniques that Apple and the airlines do: come in low/undesirable and build to the final position. The second way comes in high and then deflates to the final position. Both are true. 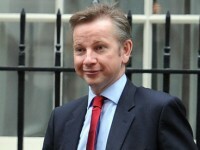 Micheal Gove took the second option. It didn’t go well. The press and opposition slammed him for only managing to get 32 schools into service. Obviously Apple, airlines, and the Free Schools presentation, are not solutions that reduce carbon. But they are great examples of how presentation order can influence our feelings and subsequent behaviour. And this is no marginal consideration when creating a frictionless carbon descent. changing consumer behavior is the next wave of savings that needs to be tapped.